This compelling and disturbing video below shows Jeffrey Smith, a leading expert on GMO foods disclose the beguiling antics by Monsanto who not only are allowed to manipulate their own policy claims, but continue to be held unaccountable for the toxic repercussions of their genetically modified organisms or GMOs. In the video, Jeffrey Smith, discusses two deadly poisonous ingredients found in GMOs based on proven research that causes cancerous tumors to form in rats. Monsanto’s former attorney, Michael Taylor, dubbed “The food safety Czar,” is now conveniently positioned with the authority to monitor the promotions of Monsanto’s products, including their GMO foods. Monsanto has never gotten called out for detailed analysis regarding the dangerous processes these “foods” undergo. It’s similar to “The fox guarding the hen house,” where GMO foods are not legally mandated to be labeled because Monsanto says they are no different than the regular foods. Check out this revealing 5 minute video & learn the truth about GMOs and why Jeffrey Smith emphasizes that no consumption of GMO foods is safe. Please share this information with friends and family, and join the March Against Monsanto on Saturday, May 21, 2016 worldwide. March for our health freedom and march to label all GMO foods. Ty Bollinger: What are GMOs? Jeffrey Smith: Genetically modified organisms. It’s basically when you take the genes from one species and force them into the DNA of another species. There are nine GM crops on the market. And the primary traits are either herbicide tolerance or pesticide production. Herbicide tolerance, Roundup Ready is the most popular. There’s Roundup Ready soy, corn, cotton, sugar beets and alfalfa. They are engineered from bacteria, and pieces of virus, etc., and will not die when sprayed with herbicide, which normally kills plants, thereby making weeding easier for farmers. 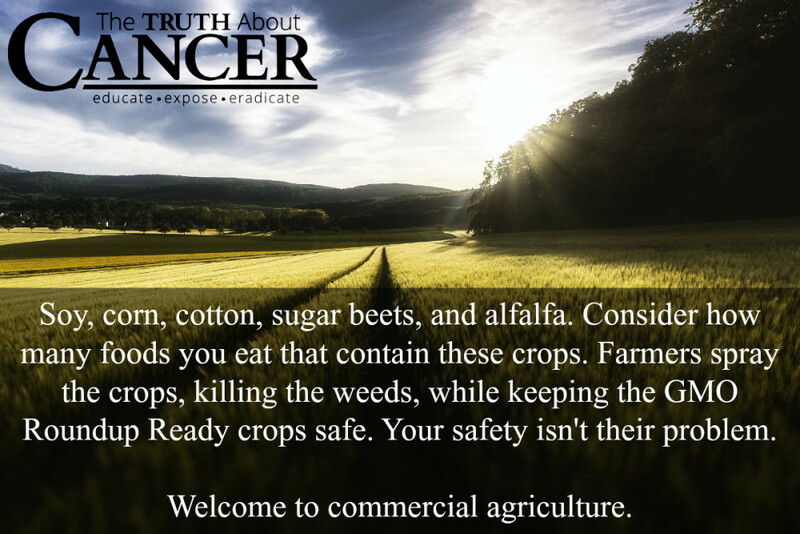 They can simply spray over the crops, killing all the weeds but not the Roundup Ready crops. Pesticide production is another popular genetically modified trait. They take a gene from bacteria in the soil called, bacillus thuringiensis or BT for short, which produces a known insecticide and inject it into corn and cotton, so when certain types of bugs bite the plant then toxins are released, breaking holes into the walls of their stomach causing them to die. Now we are eating the insecticide and Roundup laden crops. Meaning, we are eating two different types of poisons with these GM laden crops. The FDA does not require a single safety study on GMOs. This became policy in 1992 overseen by Michael Taylor who was formerly Monsanto’s attorney. He was actually assigned a new position designed specifically for him by the FDA, when the agency was ordered by the White House to promote GMO’s. Taylor’s policy falsely claimed that the agency wasn’t aware of any information indicating that GMOs were significantly different, therefore no testing or labeling was necessary. Leaving companies like Monsanto to determine on their own whether their GMOs were safe. Monsanto had previously told us that Agent Orange, PCBs and DDTs were safe and got that wrong, so maybe this time this would get it right with GMOs was thinking by the FDA. Taylor then became Monsanto’s vice president and chief lobbyist and now he’s back at the FDA as the U.S. food safety czar. Ty Bollinger: It’s almost like you have the fox guarding the hen house. Jeffrey Smith: More than almost. We have documented proof where claims in the policy stated they were not aware of any information showing that GMOs were any different − that was a complete lie… a total fabrication. A lawsuit forced 44,000 secret FDA memos into the public domain and it showed an overwhelming consensus of the scientists who worked with the FDA was the exact opposite; they said GMOs might create allergens, toxins, new diseases, and nutritional problems. They urged their superiors to require testing and complained about the drafts of the policy; their concerns were ignored or denied. Ty Bollinger: Now when Monsanto claims they are not significantly different… not significantly different than what? Jeffrey Smith: The normal foods. Ty Bollinger: Oh, so since they’re not significantly different that the normal foods, they don’t need to tell us they’re doing this to foods. Jeffrey Smith: They don’t need to tell us, they don’t need to test it, they can just put it on the market and assume that it’s safe… if they want to do tests they can do tests. And the tests that they do − tobacco science: completely rigged to avoid finding problems. We catch them at it, red handed. Jeffrey Smith: They can submit if they want… and if they do submit, just summaries that will never give a reviewer enough information to determine safety. The tests typically on animals end in 90 days. So you feed an animal, a rat for example for 90 days. Let’s say 33% of its diet is genetically modified corn, if after 90 days everything looks good, then you feed it to humans for the rest of their lives. 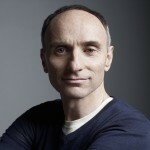 A research team directed by Dr. Gilles − Eric Seralini decided to extend the term of the study from 90 days to two years – the approximate live span of a rat. Seralini had been reviewing the submissions to France and to the European Union by Monsanto and saw that Roundup Ready corn fed to rats showed more than 50 different statistically significant changes in the animals compared to the control. Monsanto remarked, “Ah there’s no problem,” Seralini said, “What do you mean there’s no problem, this is very serious,” and published it showing there were very significant signs of toxicity. He secretly extended the studies using the same kind of rat, the same control group size, but many, many more parameters used in the testing. Starting after 90 days, within the following month, the first rat started to get tumors. By the end of the term, almost 80% of the female rats developed [cancerous] tumors – most of them were mammary gland tumors, and 50% of the male rats had [cancerous] tumors as well – compared to far less in the control environment. Please share this information and join the March Against Monsanto worldwide on May 21, 2016 in a city near you. March with thousands of others to label all GMO foods. You have a right to know what you’re eating and it shouldn’t be hidden from you! Please share now, register and march. Yes, they will wither away. With the Lord’s help they will be cut down with the scythe of the Grim Reaper.